Offering a contrast between old and new Halong, get an overview of the Halong Bay area beyond the sea. 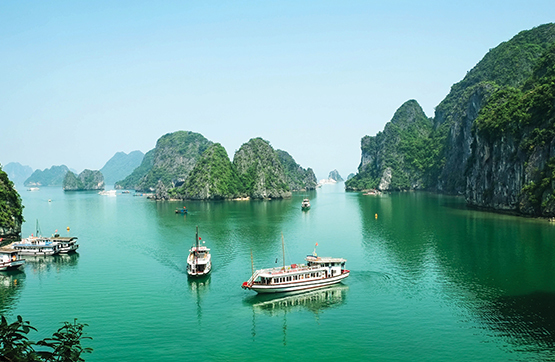 Take this chance to view a side of Halong that tourists rarely take the time to visit. This half day tour will give you a panorama of local life in North of Vietnam. Start with a visit to the Hong Gai market, with views of the Bay, to see a variety of local products. A short stroll will then take you to the Buddhist Pagoda of Long Tien for a photo opportunity before re-boarding the bus for the short drive to Tran Quoc Nghiem Temple. Set in a beautiful setting this Temple is important in the spiritual life of the local people. The final stop will be at the newly constructed Vincom shopping mall which offers great views of Halong Bay from its main entrance. Marvel at this grand structure that is in stark contrast to the buildings and activities surrounding it. The three hour drive southwest from Phu My Port to the Cu Chi Tunnels is a pleasant foray into the surrounding countryside. It is hard to believe you are entering a former war zone of such strategic importance. The busy road passes through tranquil rice paddies where entrepreneurial villagers use the hot roadside as a platform for drying all manner of produce. 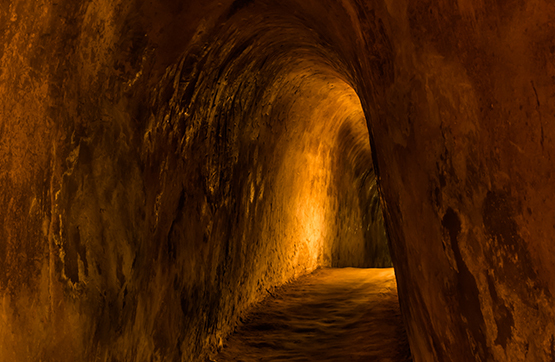 Upon arrival at the Cu Chi tunnels, a short documentary video reveals the history of the tunnels. Your guide then explains the underground network, displays of tools and weapons used by the guerillas, and provides insight into the ingenious methods that the Vietnamese soldiers employed to remain undetected. On the return drive to the port, a lunch will be served at a local restaurant owned by former female Viet Cong guerilla. Guests can enjoy delicious Vietnamese cuisine at the restaurant while viewing a green rice field surrounded by flowing canals.